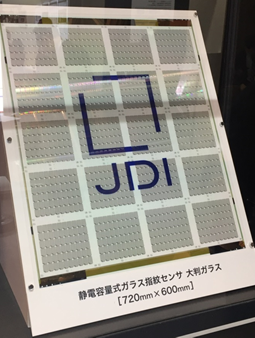 Japan Display Inc. (JDI) today announced that it has proceeded with the development of capacitance type glass fingerprint sensors, utilizing LTPS backplane technology and touch panel technology. As such, we will commence the mass production of glass fingerprint sensors, for the security market, targeting smart door locks. At JDI, we have proceeded with the research and development, applying the LTPS backplane technology and touch panel technology, for smart phones, to other areas. 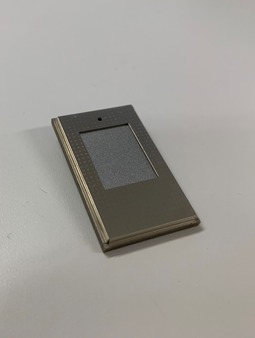 One of those is fingerprint sensors, where we are able to realize the next generation of fingerprint sensor devices, for large screen sensors, transparent sensors and flexible sensors, which are not possible with silicon based fingerprint sensors. Since personal identification through fingerprints is broadly used in smartphones, it has permeated throughout the lives of most people. As such, various security markets are beginning to experience growth, for example, in China, for door security in residences, they have begun to apply fingerprint authentication, as smart door locks. Going forward, it is expected to be also applied with door security for automobiles. Meanwhile, different than portable type devices like smartphones, with residence and car security, they require a high level of confidence in authenticating individuals, and as such, this requires a fingerprint sensor that can detect the whole finger. As such, there is greater expectation for lower costing glass fingerprint sensors, to replace high costing silicon fingerprint sensors. At JDI, utilizing the LTPS backplane technology and touch panel technology gained through devices for smartphones, we were successful in developing driving technology for glass fingerprint sensors and authentication algorithms, and were able to increase the level of mass production of capacitance type glass fingerprint technology. Also, we have commenced mass production, using this for smart door locks. Going forward, we will further utilize the characteristics of glass fingerprint sensors, and expect to create a new fingerprint sensor market segment, such as larger sensor sizes, product designs utilizing transparency, and flexible items, that don’t break, even when bent, etc.